In recent months, the National Highway Traffic Safety Administration (NHTSA) has had several public disputes with auto manufacturers over the issue of recalls. It has questioned the adequacy of recalls initiated by General Motors several times. And it engaged in a public dispute with Chrysler which initially refused to institute a recall that the NHTSA had insisted upon. At this point, it would be unsurprising if the NHTSA instituted either a crackdown or publically shied away from instituting any more recalls for a time. Rather than embrace either extreme, the NHTSA has clarified that it will continue to stand its ground in regards to how it approaches defective products recalls. NHTSA head David Strickland noted recently that the agency will continue to insist that auto manufacturers either remain “within the zone of reasonable risk” or institute recalls whenever the public becomes potentially endangered by a particular vehicle model or auto part. The agency regularly monitors various forms of vehicle data and analyzes it for patterns indicating unreasonable risks. 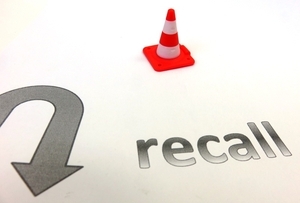 When the NHTSA pinpoints an unreasonable risk to public safety, it either suggests or insists that any affected manufacturers institute a recall. One of the reasons that the recent Chrysler recall was so contentious was that it involved a design issue rather than a defective part per se. Chrysler had employed a dangerous design that had been abandoned by other auto makers in recent years due to its risk of inspiring dangerous trunk fires. Chrysler resisted the recall partially because no defective part was in play. The NHTSA has clarified in the wake of the Chrysler dispute that it will continue to require manufacturers to recall vehicles or parts any time that it detects an unreasonable risk to public safety, regardless of whether the risk in question is a matter of design or defect. Ultimately, the public is sure to benefit from this strong and immoveable stance on the part of the NHTSA, which has refused to waiver in the wake of manufacturer resistance to its approach.